Canaan recently hosted leaders from across the crypto & blockchain landscape at Lending Club in San Francisco for our latest FinTech Central. 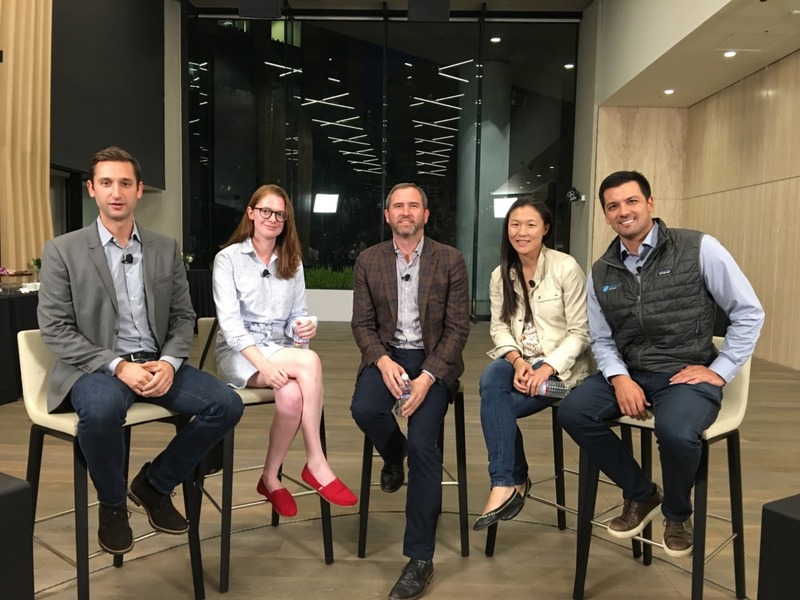 Our panel included Brad Garlinghouse, CEO of Ripple, Kathleen Breitman, CEO & Co-Founder of Tezos, Lily Liu, CFO of 21, and Adam White, Head of GDAX at Coinbase. The deeply experienced operators had sage advice for new founders looking to build companies in the space and covered hot topics related to the regulatory landscape, blockchain applications, consensus mechanisms and ICOs. Throughout, they also dispelled common industry myths that are prevalent. You can also watch the discussion in its entirety below. In addition to the fact that BTC and many other currencies are hovering around their all-time highs, we talked about the tremendous progress Ripple has made with their blockchain — transactions now initiate and close in just 3–4 seconds. While Ripple’s coin XRP has been around for quite a while, Lily @ 21 announced that they will soon be launching their own coin, the Social Coin. It feels as though the ecosystem is not only “not dead”, but it is clearly thriving. We were also reminded of the 1996 Newsweek cover that said the internet was overhyped. According to Adam @ Coinbase, cryptocurrency’s current stage is akin to the early 90s of the Internet. It was unanimous: it’s the very early innings of this technology. Even more interesting are the new protocols that are being created — like Tezos using proof-of-stake (as opposed to proof-of-work) as a dynamic consensus algorithm. With proof-of-stake, validators essentially set aside a portion of their tokens to increase their chances of being chosen to create the next block of transactions. It is impossible for one entity to kill these types of structures — by definition. The other common way of discrediting the industry is by saying the currency isn’t backed by anything and, therefore, is completely fictional. Take the U.S. dollar — it was historically pegged to gold, but now is really just pegged to confidence. There is confidence that the US government will use tools to avoid hyperinflation or deflation to maintain value. While the price swings in many cryptocurrencies have been massive to date, the argument is that due to the fixed supply of tokens and an essential / tangible set of miners, cryptocurrencies are real and valuable. In fact, open networks are powerful because no single government or jurisdiction can stop them. Yes, there is no gold or substance that you can touch and feel backing the tokens, but the same can be said for many successful currencies across the world today. Although China has recently ruled on ICOs, many countries — like Brazil, Canada and the United States — have welcomed the technology. The panelists made clear that although the U.S. has undoubtedly had a lighter touch thus far, regulators will be looking at ways to protect investors. Despite that, our experts were unanimous that they don’t expect any new laws to stifle innovation in the space. The reality is that across fintech, to be successful, you have to work with and within governments and regulatory structures — which are not going away. Regulators seek to protect investors and operators in securities offerings, and they focus on anti-money laundering and “know your customer” laws. While there will likely be cases of lawsuits around some of the early ICOs, it’s important that investors view them the same way they do other investment opportunities. ICOs are not a form of alchemy, and will not make a bad idea a good one. Amidst the great benefits from democratization of access, we must not lose sight of that foundational truth. And yet, for investors and founders across the world, you no longer need to be sitting in Silicon Valley to partake in innovation. Thanks again to Brad, Lily, Kathleen and Adam for joining us for Canaan's Fintech Central.